Sahoo Teaser Trailer: Just a day before the release of Baahubali 2: the Conclusion, the official teaser for Sahoo starring Prabhas has been released. And it got over 25,000 likes within 2 hours of unveiling the video. The Bahubali star looks stunning in his new looks. The promo clip released promises an action thriller is on its way. Sahoo is directed by Sujith and has been produced by Vamsi and Pramod under the banner of UV Creations. 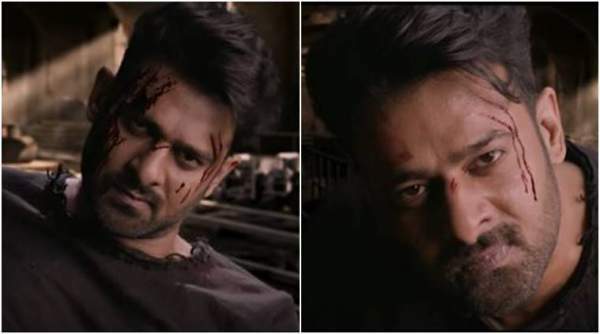 In the teaser of Sahoo, we can Prabhas as a conventional Tollywood actor who loves kicks and punches. In the 1-minute 24-second long clip, he is seen beating goons and bathed in their blood. The cinematography and the visual effects are spectacular. In it, Prabhas says “It’s showtime.” His vision sees everything from a city at a bird’s eye to a montage coming together. It is one of the most visually appealing teasers of the recent times. He is shown as an adventures man as he jumps from the top of a building, with a wingsuit, to be specific. Related: Baahubali 2 Movie Review. All in all, it looks stunning. Fans are loving him in his new avatar. The movie is slated to release in 2018. In another news, Prabhas’ Baahubali 2 will rule the box office with its collection starting tomorrow, April 28. The film is releasing on a record number of screens, 9000. It has already made a record with its advanced collections beating the numbers of Dangal opening weekend ticket sales. Does 1000 cr lifetime collection seem impossible? Did you like Sahoo teaser? Check: Why did Kattappa kill Bahubali? Stay tuned to TheReporterTimes.com for latest movie news and all entertainment updates around the world.